Experience the natural beauty of New Zealand in style and comfort onboard Celebrity Solstice, one of Australia’s highest rated cruise ships, and enjoy terrific savings on selected itineraries booked before 20 June 2015, including free international airfares, a free upgrade from an Oceanview to a Balcony Stateroom plus a choice of a free beverage package for two or up to USD$300 onboard credit per stateroom. A 12-night New Zealand cruise, departing Sydney on 2 November 2015 or from Auckland on 14 November, starts at just $2,499 per person. The twin sailings include calls at Hobart, Milford, Doubtful and Dusky Sounds, Dunedin, Akaroa, Wellington, Tauranga and the Bay of Islands. Fare includes one-way economy airfares between Auckland and Sydney, as well as a free upgrade to a Balcony Stateroom and a free beverage package for two or up to USD$300 onboard credit per stateroom. 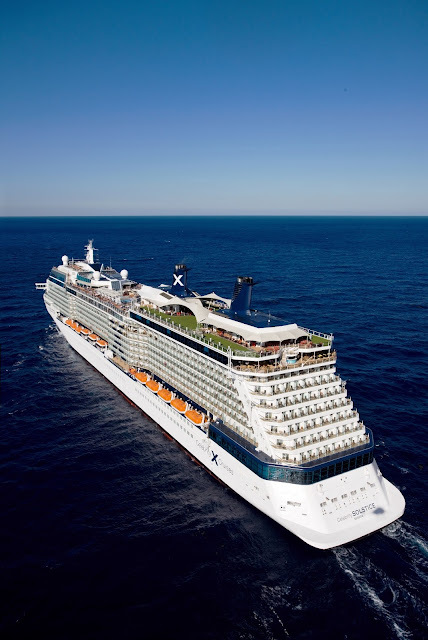 Or choose to sample Celebrity Solstice’s unique brand of modern luxury on 12-night New Zealand cruise that also includes Melbourne, departing Sydney on 4 December 2015. Priced from $2,199, the fare includes one-way economy airfares from Auckland to Sydney, as well as a free upgrade to a Balcony Stateroom and a free beverage package for two or up to $300 onboard credit per stateroom. With its unique contemporary luxe style, Celebrity Cruises lets guests explore New Zealand on the region’s highest rated superliner, offering world class cuisine, outstanding service, exceptional wellbeing and fitness programs, all while taking you to some of the most spectacular destinations. No other cruise line offers the luxury of a real grass lawn onboard, allowing guests to have a picnic or play a game of boules on manicured lawn in the middle of the Tasman Sea. Celebrity Cruises also provides guests with delectable meals, specially designed spa-holidays in AquaClass rooms and gorgeous spaces throughout the ship to explore or relax in. Celebrity heightens the modern luxury experience with Suite Class, offering a new private dining experience and more premium inclusions, such as beverage packages, specialty dining, and unlimited internet, a dedicated butler and a VIP lounge for Suite guests. For more information about or to book a cruise, call 1800 754 500, contact your travel agent or visit http://celebritycruises.com.au/specials/123go/. *Price is a from price only and applies to the lowest category of stateroom. Subject to availability and conditions apply. For full terms and conditions, visit: www.celebritycruises.com.au.